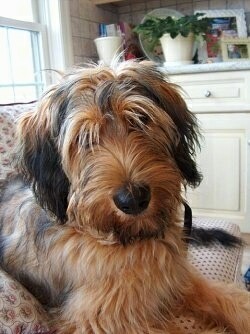 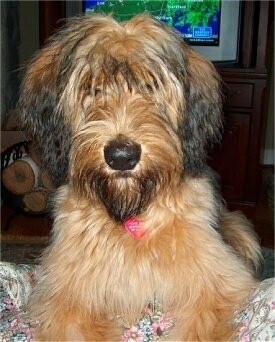 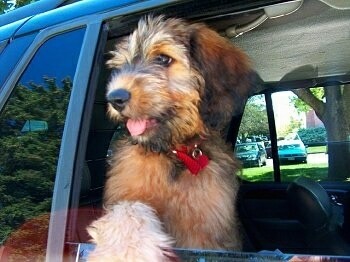 Alfie Marie Noble the Briard as a young puppy looking out the car window. 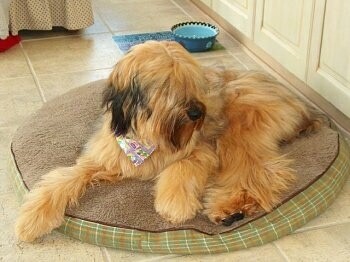 Alfie Marie Noble the Briard sleeping on his dog bed. 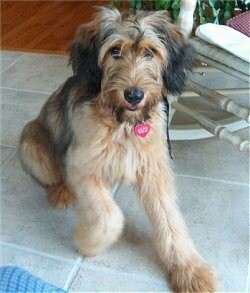 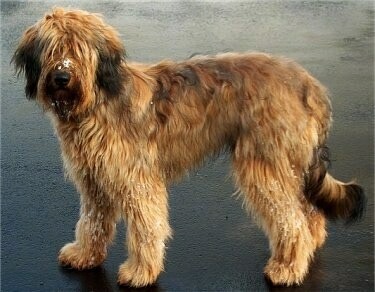 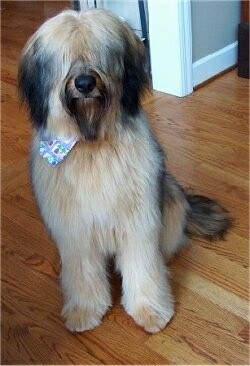 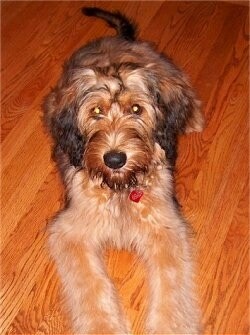 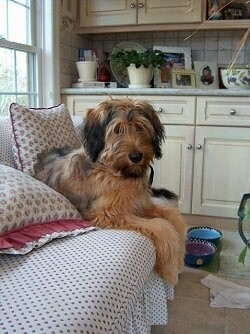 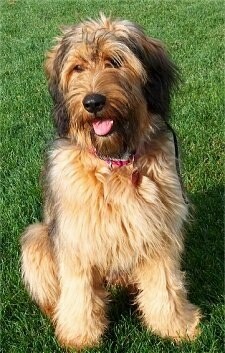 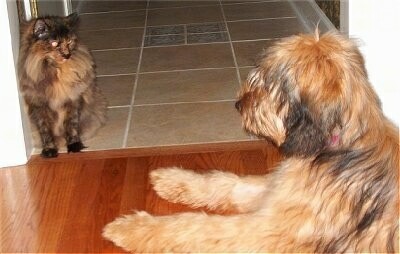 Alfie Marie Noble the Briard with his coat freshly groomed. 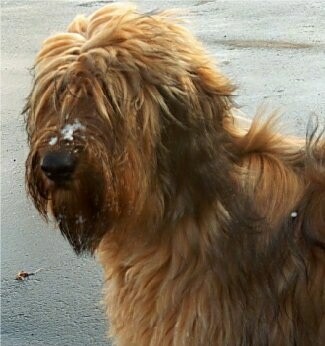 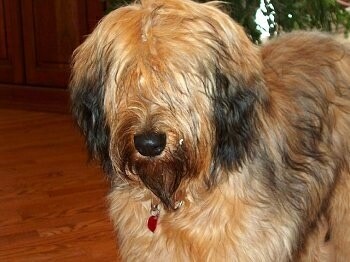 Alfie Marie Noble the Briard jumping on his owner. 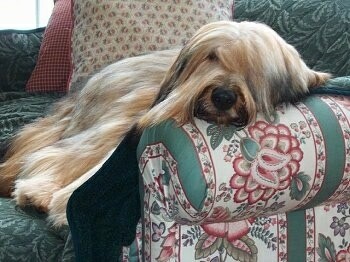 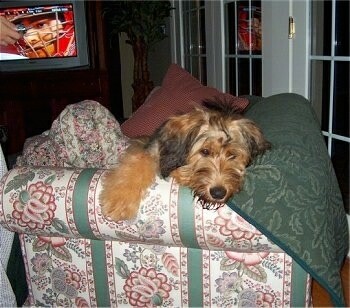 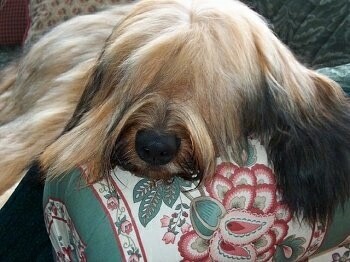 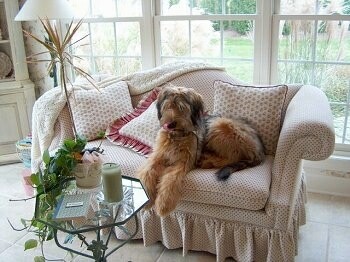 Alfie Marie Noble the Briard sleeping on the couch. 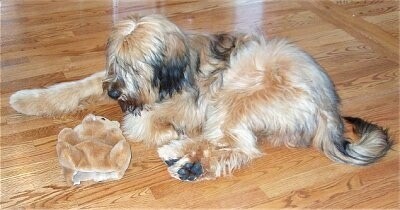 Alfie Marie Noble the Briard with his toy. 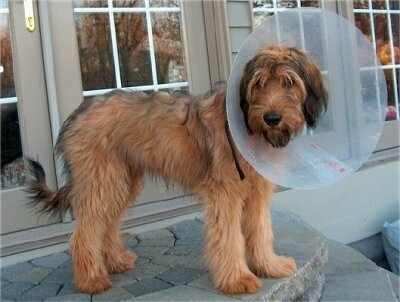 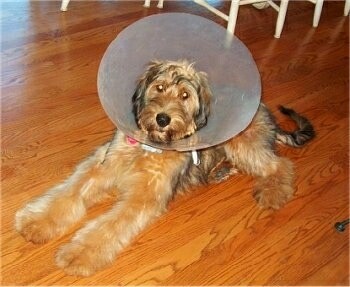 Alfie Marie Noble the Briard with his cone on his head after getting neutered. 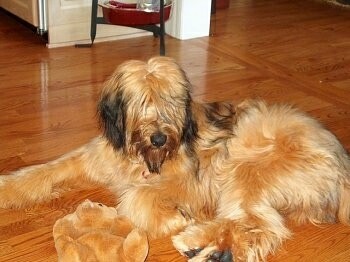 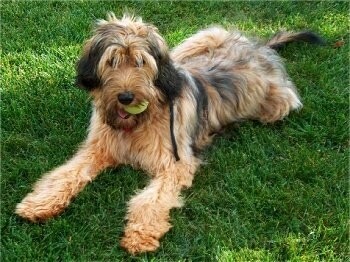 Alfie Marie Noble the Briard with his toy in his mouth.